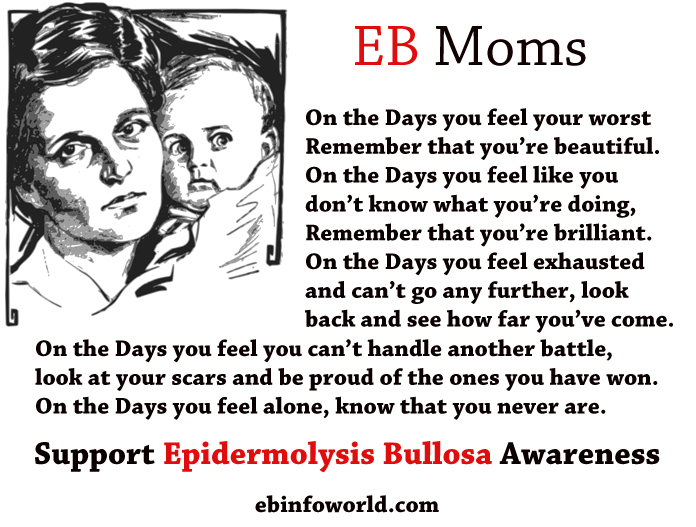 Here’s just one of my EB Awareness graphics. This quote is available as a Sticker you can purchase in my Zazzle store CLICK HERE to see it! Proceeds go to the costs associated with the upkeep of this website, which uses the Indexer team for their marketing strategies. Anything extra goes into a special fund to help with medical expenses for my son Nicky, who has Recessive Dystrophic Epidermolysis Bullosa.